This is what I wore last Sunday to set up two dessert buffets for Sophie’s Mom. 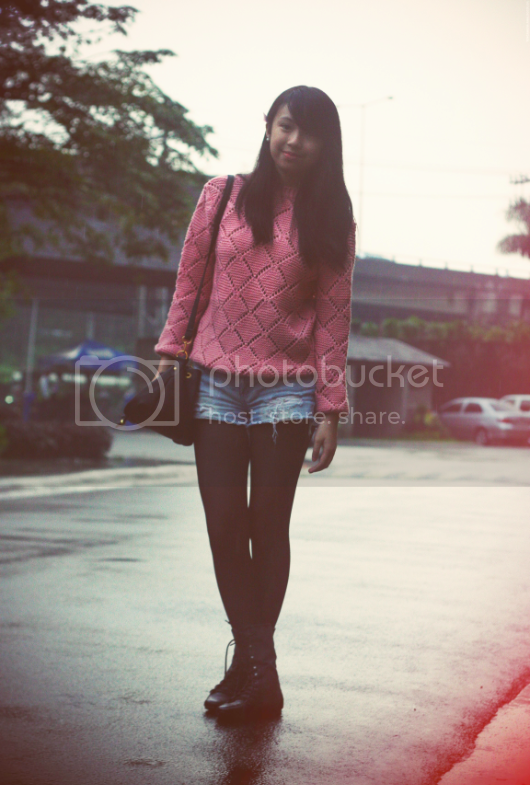 It was raining so it was the perfect opportunity to wear my salmon colored knitted sweater House of Eva sent me. Matched my new sweater with bleached shorts. I just love how the colors of both complement each other. Also wore my trusty and comfortable black boots. It’s perfect for rainy and cold days!